Interesse in deze motor? 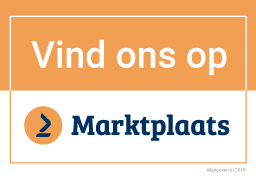 Neem contact met ons op! 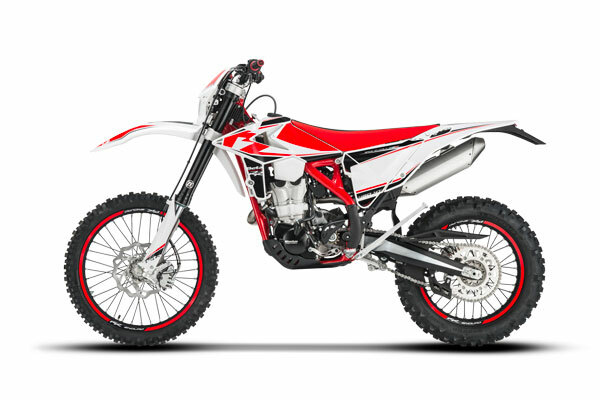 The new Beta RR my 2019 arrives on the market with a broader range than in previous years. 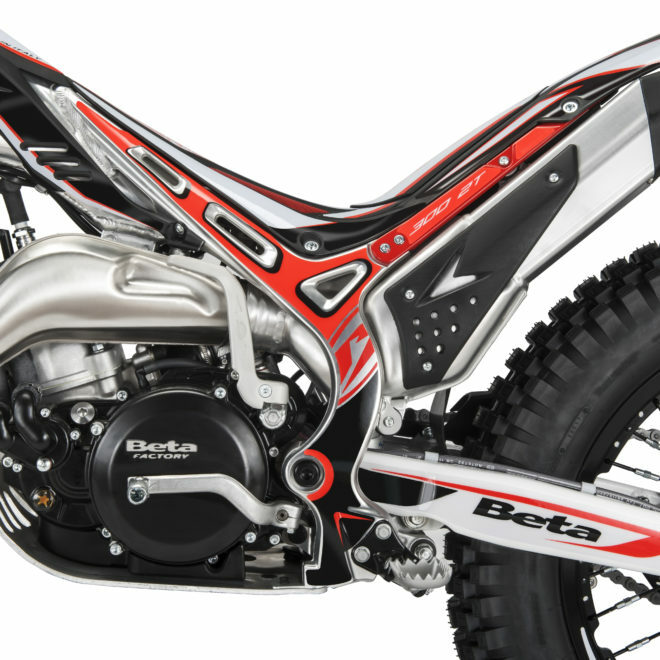 The Beta philosophy is to make sure each engine size has its own distinct personality so as to meet the specific needs of every enduro rider. Of course, there’s been no lack of upgrades across the existing range either, with improvements stemming from extensive race experience: in the last two years Beta has won two EnduroGP Manufacturers World Championships, an Enduro3 World Title and EnduroGP title with Steve Holcombe, an Enduro Junior World Title with Brad Freeman and two wins in the Assoluti d’Italia. Work has focused on both the engine and the chassis setup, with particular attention being paid to the suspension – front and rear – now fitted with top-drawer ZF Sachs components which are much more advanced than those used in the past. 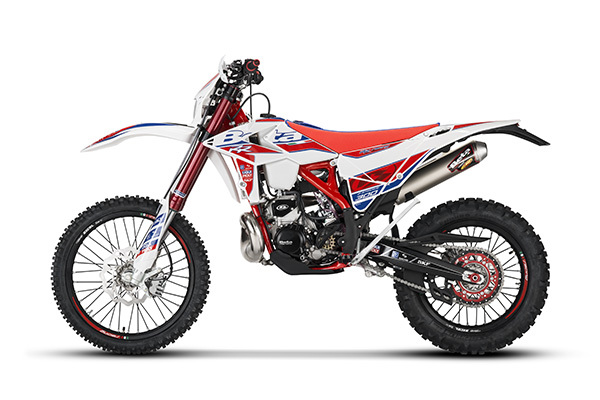 350: This is the easiest-to-handle bike in the 4-stroke model range; it favors high-rev riding while providing a very linear power output. 390: Delivering an excellent handling-power mix, its winning feature is outstanding traction. The engine is very unique in that it feels lighter yet still provides added torque and power. 430: High performance engine that gives the best of itself when the rider exploits the long gearing and superb torque characteristics. 480: High performance engine that gives the best of itself when the rider exploits the long gearing and superb torque characteristics. New throttle control: designed by Domino exclusively for Beta for improved engine response to minimal throttle twists, giving optimized traction even on the most difficult terrain. New mapping for all engine sizes combined with the excellent response of the new throttle control. 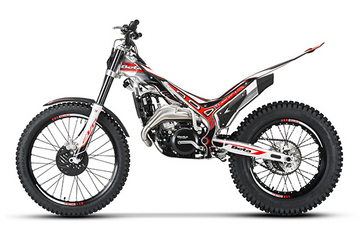 Clutch actuator with wider diameter: gives the clutch lever a softer, more responsive feel. 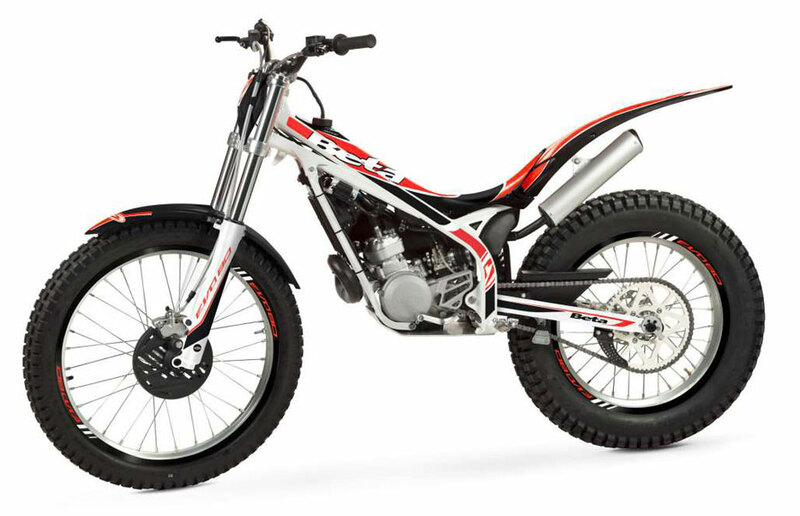 New ZF Sachs (ø 48 mm) fork with new adjustment system: allows positioning of the compression, rebound and spring preload adjusters on the upper fork cap; they can be reached while sitting on the bike and do not require tools. The fork also benefits from a new packing system which ensures greater stability and a slider with special anodizing that reduces friction and increases durability. New fork shoes (yoke): stiffer and lighter. New fork guards: designed together with the shoe to combine practicality and design. 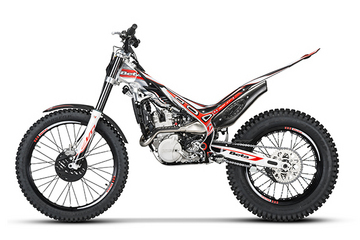 Fully redesigned ZF Sachs shock: with more compact ø 46 mm piston, about 300g lighter. The new piston has been designed to ensure more stable operation as the oil temperature varies and increased sensitivity to enhance comfort and traction. The small upper base and reservoir have also been redesigned to rationalize the system and minimize weight and bulk. New spring is also lighter.